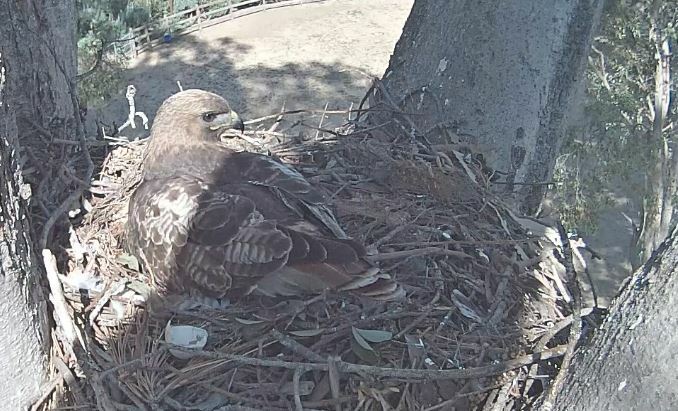 Check out the Live Red Tailed Hawk Nest Webcam feed! Click the link below and take some time in nature… from the discomfort of your office chair. This Red-Tailed Hawk has two babies sitting underneath her feathers. Keep watching to catch a glimpse of them eating dead mice, and don’t forget to read the comments! Tagged birds, hawk, live, nest. Bookmark the permalink.